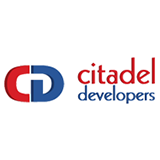 Citadel Developers is a reputed real estate company that promotes and develops land in and around Mangalore. It was established in 1996 by a team of young professionals with an aim to develop well designed, aesthetically built and affordable dwelling units. Since then, Citadel has developed a number of apartments, residences and housing layouts. Together with a group of well-qualified staff and other associates and collaborators, Citadel has been consistently providing the best facilities and amenities required for a luxurious and comfortable lifestyle. The Management Team comprises of 3 members who together have the Civil Engineering expertise and management skills to ensure the smooth running of the company, maintaining the highest quality standards and the on-schedule delivery of all its projects. Citadel has its own spacious office in the new commercial hub of Mangalore at Bejai. The testimonies of its satisfied customers and the continuous interest shown by new clients in investing with Citadel, are the biggest recognition and achievement.